Traditional Folk Games In Asia. Mandarin Square Capturing, coconut leaves dragging competition, bag jumping, etc. 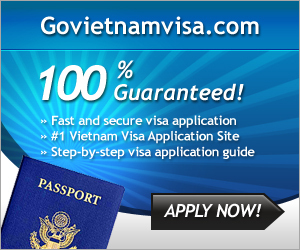 are familiar folk games in Vietnam, Thailand, Indonesia, Malaysia, etc. This is not traditional folk games of Vietnam but also in Japan and Indonesia. 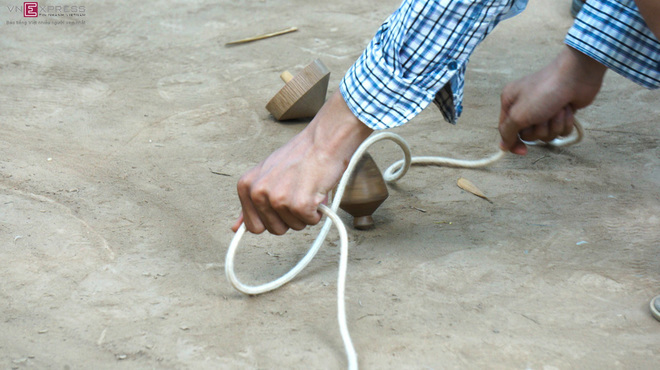 This game includes two things: rope and spindle made of wood, with a spike to stand on the ground. When playing, you will roll the rope on the spindle, leaving a short distance then swipe, rotate and push down on the ground. In this game, whose spinning tops keep balance and rotate in the longest time, they will win. Two halves of a coconut shell are perforated, then threaded with wire and next connected to a horizontal wooden slat. 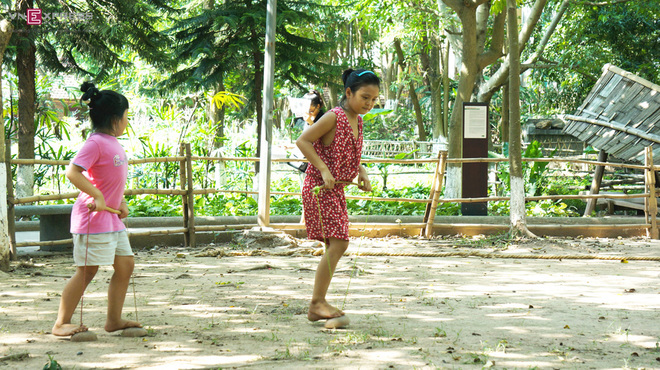 When playing, each person sets feet on coconut shells and keeps the rope tightly then moves. 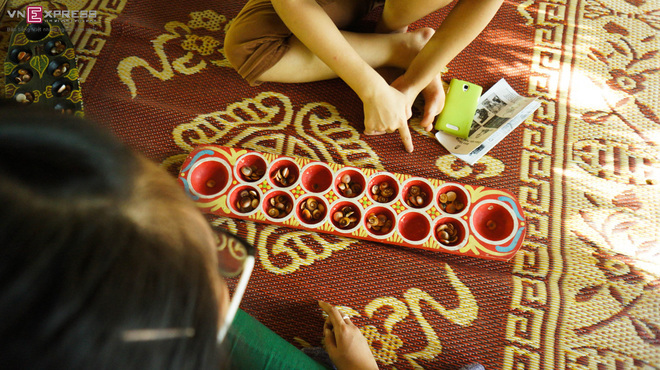 This is the traditional game of the three countries Laos, Thailand and Indonesia. 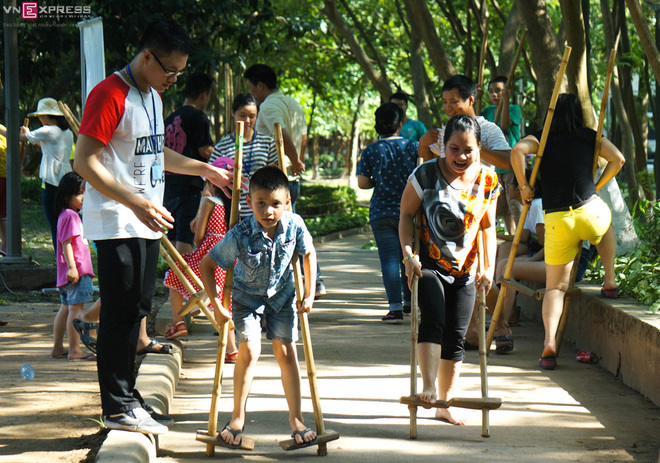 This game needs two bamboo sticks with two pieces of timber as pedals. Players will climb to pedals and keep balance to walk. 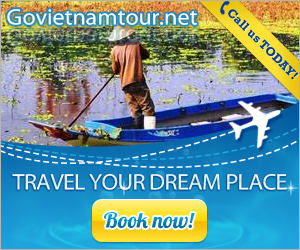 This is a popular game in coastal Vietnam. Because of ancient time, instead of boat, people used stilts to wade into the water to catch fish. Today, this folk game is held on the festival. 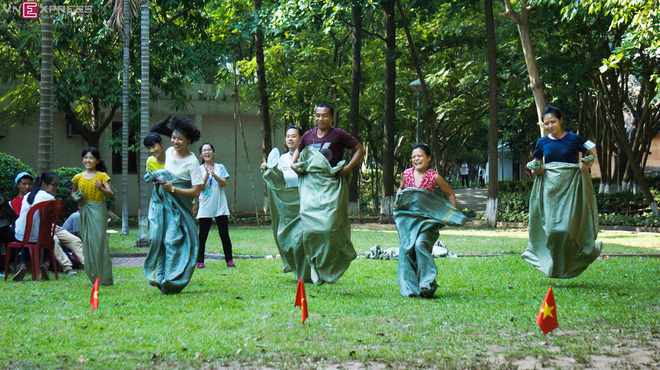 Bag jumping is a traditional folk game in Thailand and Vietnam. Players at all ages can participate. Before playing, organizer will give each a bag. Each member will step in there. Upon command, all must hold bag mouth, then jumps to the finish. The important thing is that players have to keep balance so as not to stumble. Children of countries of Vietnam, Malaysia, Laos and Cambodia often take advantage of dry coconut leaf for the games. Meanwhile, a player sit on a leaf base, the rest hold mid rib and then pull away. 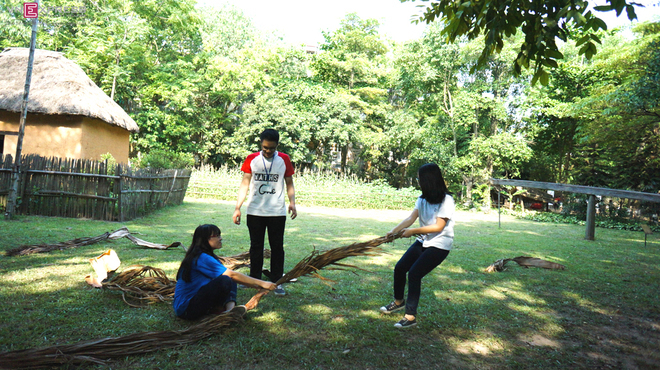 Just so, which team finishes first and not to fall from the leaf base, they win. 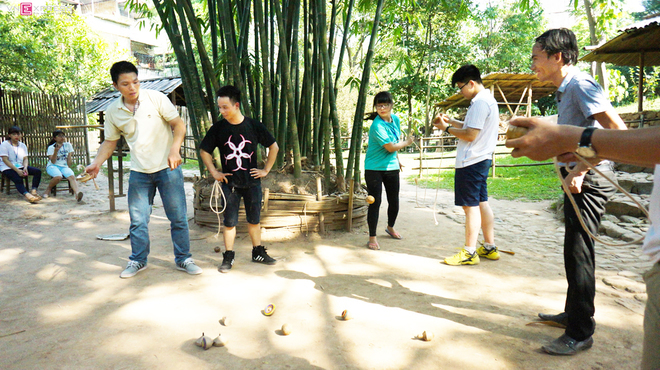 This folk game takes place in Vietnam, Indonesia, Singapore, Philippines, etc. This folk game does not need physical force but require thinking about strategy. A rectangle which is divided into ten squares (5×2) with two semicircles at each end is drawn on the floor or the yard. The ten squares are called “rice field square”, “fish pond square” or “citizen square” and the two semicircles are called “Mandarin squares”. Pieces may be stones, fruit seeds or any other small things. Two players or two teams sit in two sides of the board. Each controls one side of the board.